Class photo on the steps of the third Newhall School (1911?-1925) at the corner of Newhall Avenue and 10th Street, aka Pico Road (later called Lyons Avenue). The modern address is 24514 Kansas Street. 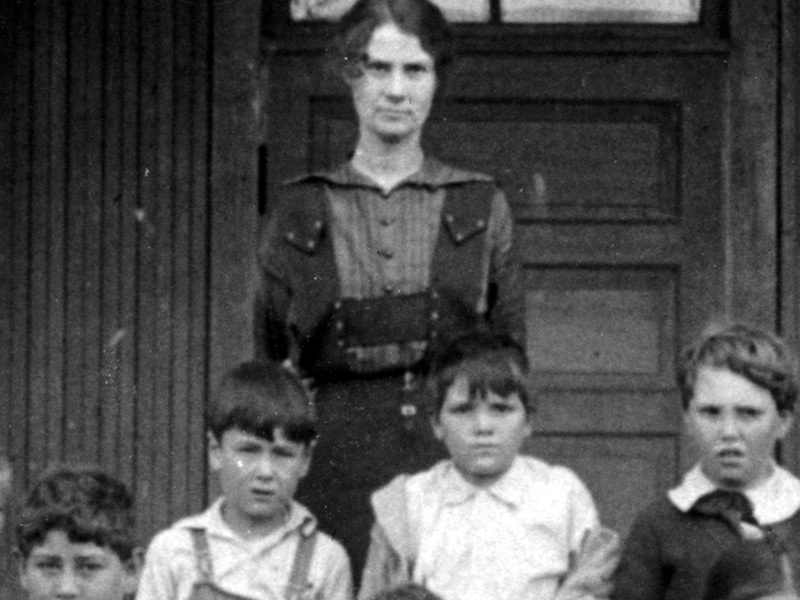 This is just one grade level (out of eight), probably mid- to late 1910s, judging from the clothing and the age of the teacher relative to other Newhall School class photos with known dates. 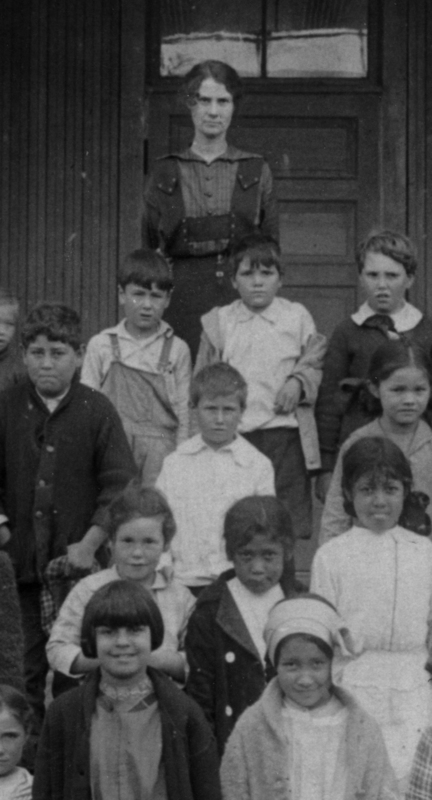 Newhall School kids didn't look quite so bedraggled in the 1920s. Note the barefoot girl in the front row. AP0527a: 9600 dpi jpeg from copy print.